scarf for India, originally uploaded by indiaeden. I'm not a great knitter,but I finished this today. Made from this pattern. 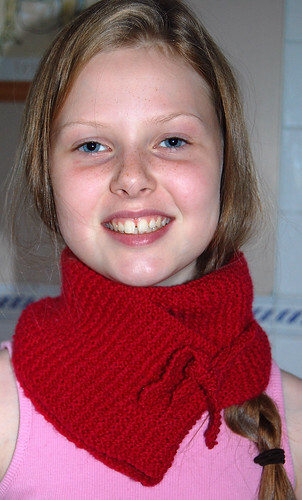 Really nice - I have a weak spot for handknitted scarves - I love the colour too, it suits her! Does she knit too? Thanks Cybele. My knitting is pretty dire really,but I do like something to do in the evenings .